I am currently working at Google Inc. in Mountain View, California. I was a student at the École Normale Supérieure de Lyon (ENS Lyon, France) from 2004 to 2007. Utilitaires gratuits pour Windows, dont Clavier+ et Muzip. Préparatifs de mon stage à Google aux États-Unis : démarches, papiers, visa… que du bonheur ! Récapitulatif point par point ; les esprits susceptibles sont libres de réagir. Versions ePub, Kindle, et PDF des petites merveilles d’heroic fantasy publiées sur le site de l’auteur Asp Explorer, quelques coquilles en moins. Je n’en suis pas l’auteur. Object recognition system based on perceptual grouping, developped with the LIRIS team, during the training course of my first year at the ENS Lyon. 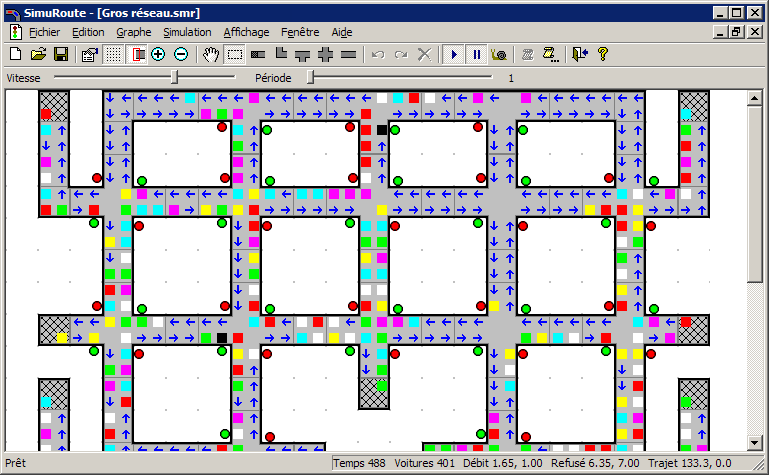 Microscopic-level road trafic simulation with a cellular automaton, programmed for high school project (TIPE). The simulator has a graphical interface and save several measures to build statistics. The International Olympiads in Informatics are an algorithmics contest for secondary school students. I participated twice and won a bronze medal in 2001. Then I became a member of the France-IOI association, which trains young students to select 4 of them every year for the contest. The website features online courses and exercices, with an online judge.